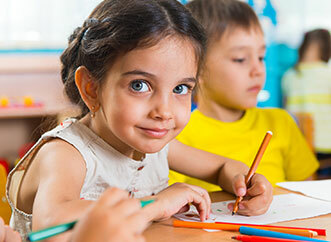 School has ramped back up across the nation and now is a great time to talk to your kids about home safety. Whether it’s knowing how to operate your home’s security system or knowing who to call for help when needed, it’s crucial for kids to know these basic facts to help make them and their homes safer. Discussions about safety and security could seem scary to children, but with a little preparation, and these tips from the Electronic Security Association (ESA), you can approach the subject with your little ones and allay any fears they might have. Younger children may think that if you’re buying a new security system that it means they weren’t safe before or that there is danger to fear. Reassure your children that their home is safe and will continue to be safe – even more so now, that they are under the additional protection a home security system provides; kids pretend play can continue in the knowledge that they are safe to do so. Depending on the age and personality of your children, you may want to avoid talking about “bad guys” and focus on how the security system is meant to keep the family safe. Depending on your kids’ age, let them know about the rules and responsibilities they have for home safety. Children aged 2-4 should know, for example, that only adults are allowed to open the door no matter who is knocking. Teach your kids how to use a phone to call 911 and trusted adults in case of emergency, and have the numbers easily readable and accessible. Older children and teenagers should be taught about the importance of arming the security system when they are home alone, who is allowed in the home when parents are away, and when curfews are set. Teach them that these rules are inflexible and they’re set for a reason: to keep them safe. Teenagers want privacy more and more as they get older, and may bristle at the idea of security cameras located in the home. Reassure them by telling them exactly what the cameras will be recording: the front door entrance, the garage, any stationary valuables in the home, etc. Make sure they know the cameras aren’t there for “spying,” but for safety. As your children get older, show them how your home security system works and teach them how to operate it themselves. Make sure that they know the necessary passwords to avoid false alarms and teach them how to arm and disarm the system. It is also a good idea to ingrain good habits when it comes to always locking the doors and arming the system whenever they leave the home. Older children should know that keeping the home safe is now part of their responsibilities as they grow into adulthood. The more mature they are, the more they should know about the very real threats out in the world ? but not in a way that makes them fearful or paranoid. The key to making your home and family safer is more than just hardware: it’s an ongoing conversation about the importance of security and vigilance in the home. An ESA member company can help design and install a security system that both fits the needs of your home and family, and is easy enough to use by all members of the family. Visit www.Alarm.org today to find a trusted security professional to help with your home security needs.